Flysheet with neck up over the ears. Made of extra strong, flexible polyester. With nylon lining at breast and neck against rubbing. Three chest closures with velcro. Lycra above the legs for maximum freedom of movement. Extra long tail flap, cross surcingles and a tailloop . 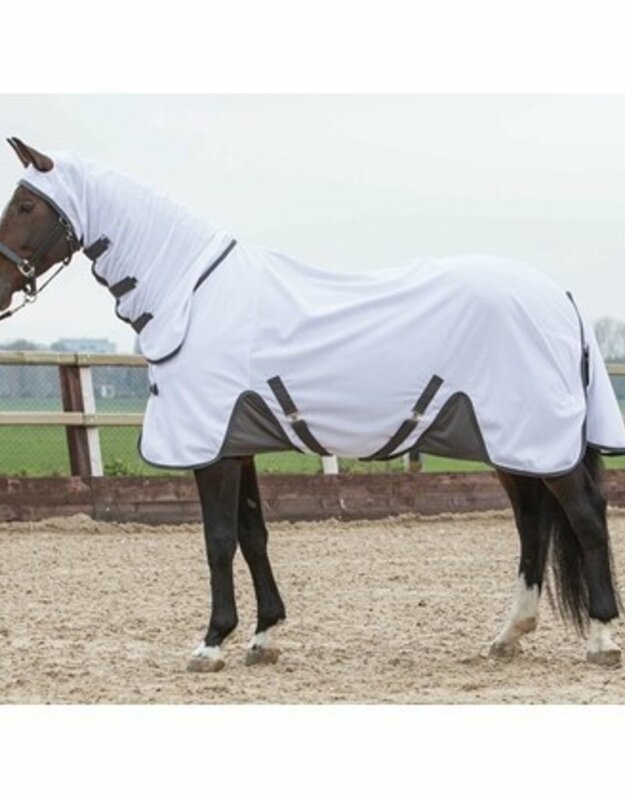 The white color reflects sunlight and keep the horse cool during sunny days.